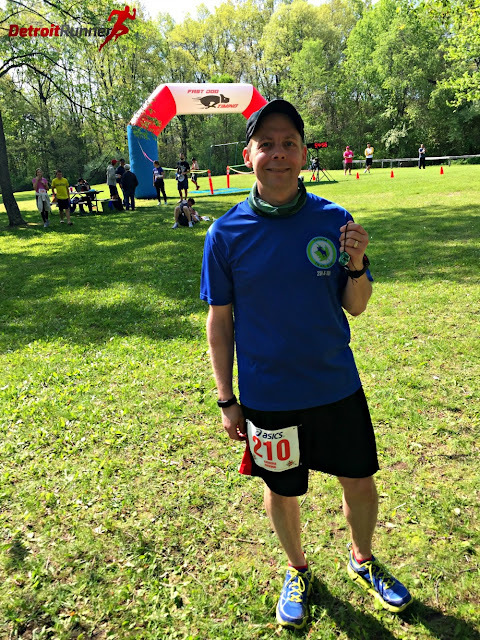 First year for this new 5k race. They also had a Hike that was not timed. This was organized by Boy Scout Shane Skelcy for his Eagle Scout project with Troop 360 of Auburn Hills. 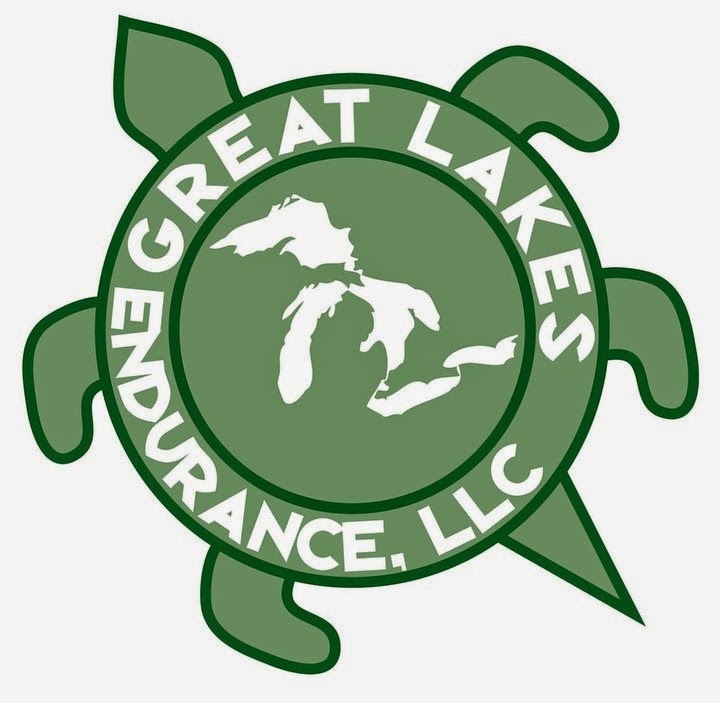 The event benefited God's Helping Hands of Michigan that was organized to provide free food and clothing for those in need in the Southeast Michigan area. What a great idea for an Eagle Scout project! The race was well organized and timed. They had finisher medals and food at the end as well as a raffle. Your entry was free if you provided at least 5 cans for the charity. What a great cause and I'm happy I got to participate. Hopefully they will do this again next year. 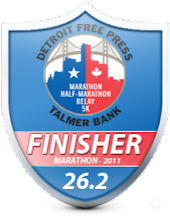 One of my running buddies, Josh, told me about this race. He said you could run it if you brought at least 5 cans to the event as they were collecting food for a charity. Awesome. What a great idea. I signed up on Eastside Racing Company, who was timing the race. It was very simple to sign up. Race packet pickup was that morning. The race start time was 9:00am and was delayed slightly to allow everyone time to get ready to start. It was a beautiful morning for a race. If you pre-registered, they had your name and bib ready for you. One of the Boy Scouts helped take the cans from you as you approached packet pickup. 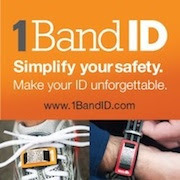 You also received a timing chip that goes on your shoe so it would be a timed race. The packet also included a cinch bag as well. I got there a little early and waited in my car for a few minutes until start time. The park there is very nice and works well for a small race. Before we started, they did a few announcement to talk about the course as well as to say thank you to all the sponsors of the race. As we got lined up, they did the National Anthem just before the race. It was a small race, probably one of the smaller ones I've been to, but it was really fun. I love running small races. The course itself was a little out and back to the trail and then a loop on the trails. The race said that the course measured long and my Garmin came in at about 3.3 miles. I had no plans for this except I felt like I wanted to push myself and see how I could place given the small group. 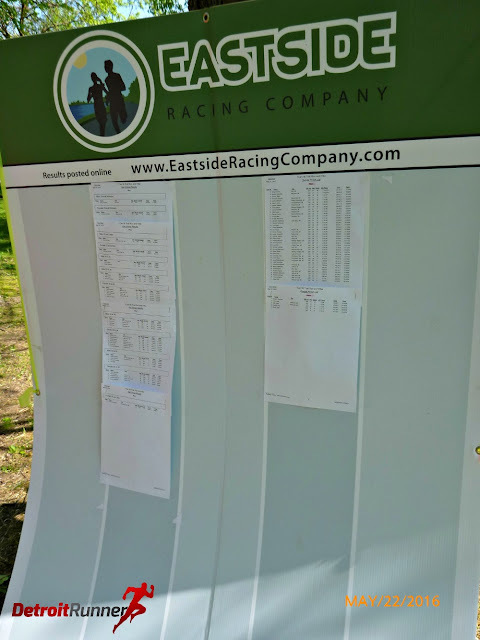 I was happy to see I placed 5th overall especially since much of the course is run on trails. We ran through part of the parking lot and drive on asphalt to get to the trailhead. I love watching the kids for the race as they have so much energy! I was going pretty fast for me and tried to keep up with some of the front runners. I figured I do what I could to catch up to people once we got on the trails. The race had volunteers in all the right spots including many of the turns. The course marking were excellent and there was no confusion about which way to go. We got to the single track and it was time to push myself. The trail was groomed well so it was easy to pass on the left. There were also some wider parts so it was easy to run a fast race even though it was on the trail. While I've run out at Bald Mountain before, I've never been to this part of the trail or the start/finish area so this was all new trails to me. It's nice to run some new trails. The course had a few muddy spots on the trails but nothing too bad. They were pretty dry overall except one place I remember splashing through. The course also had several spots with rocks and roots. Overall, though, it was a fairly smooth trail. This would be a great spot for any first time trail runners since it's not extremely hilly. Since I was near the front, I didn't see many runners after this point as the front runners were way ahead of me. We were at the end of the loop on the trail and had one last downhill before getting back to asphalt. As I got to the end of the trail, the guys volunteering there said I was in fourth place overall! While it's hard to tell, the asphalt was an uphill portion coming back. I had one girl pass me at the very end of the race to place 5th overall. It was then back to the park to finish up. A really nice 5k course. There was one aid station on the course which I didn't get a picture of. I didn't stop for it since I wanted to keep up my pace. There were two volunteers there giving out water. After the race, they gave you a medal and there was plenty of food for the runners/walkers. They had pizza, bananas, donuts, water, and juice. The race also did a raffle after everyone came in. I think they had enough prizes that everyone walked away with something - that's awesome! They collected over 860 cans for the charity plus monetary donations that would help get them to their 1,000 can donation goal. 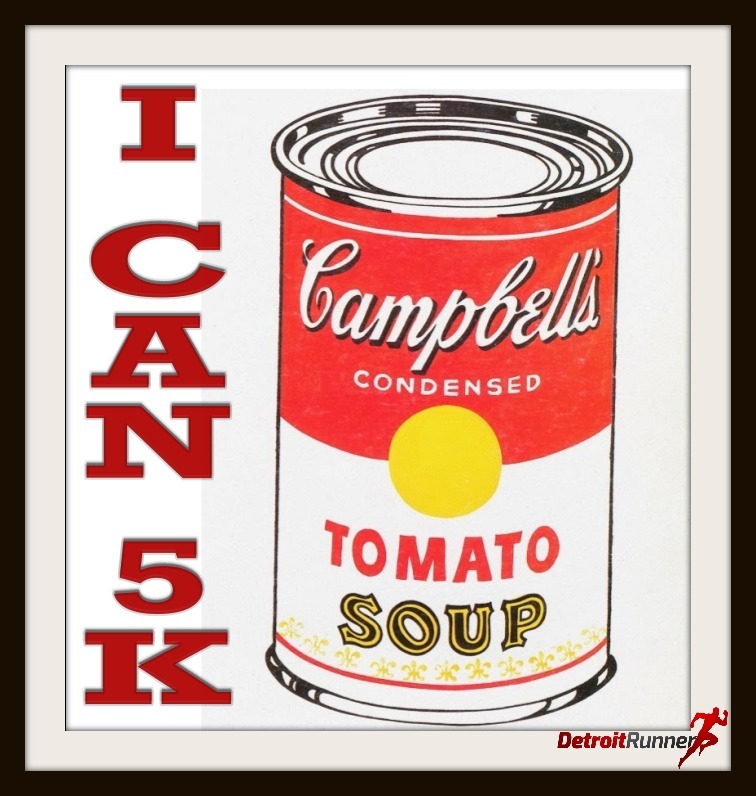 For your race entry, which was to bring at least 5 cans, you received a chip timed, marked course. 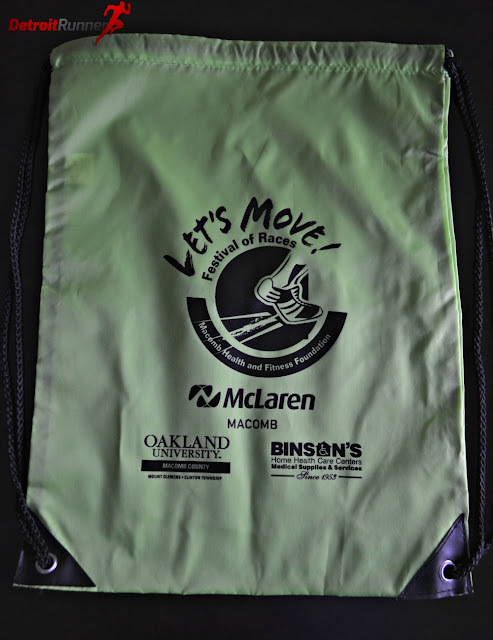 You received a bib and a cinch bag from your packet. If you gave 15 cans, you also got an additional tote bag. If you donated 20 cans, you also received a race shirt. I should have just brought more cans to get the shirt too. 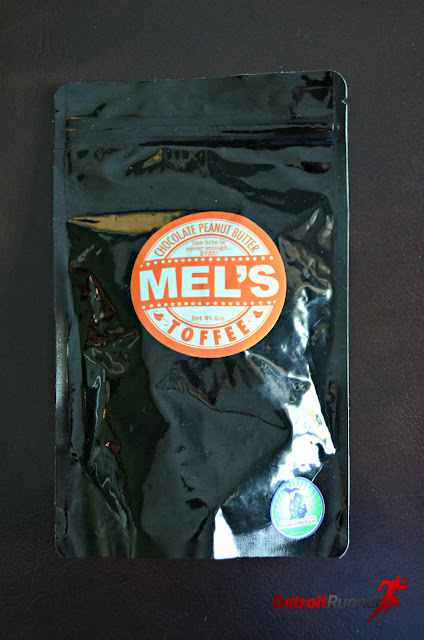 For the raffle, I won a packet of Mel's Toffee, out of Rochester. I've never had this before and it was incredible tasty! Everyone also received a finishers medal. How awesome is that? The medal is a homemade medal (which I assume the Boy Scouts made?). It's one of the most unique medals I've received for a race and I've received a ton of them! I love seeing homemade medals. It makes for a really special race. The organization of the race was great. They had a place to register online. 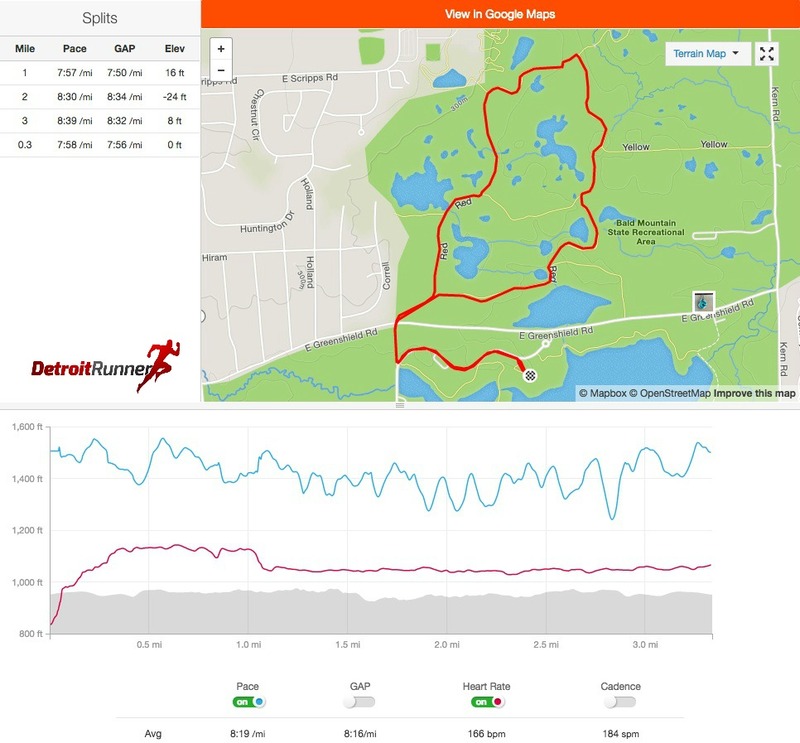 They posted it on Runmichigan. They had all details on a flyer so you knew where to go and what time. The start/finish area was well organized. Packet pick up was really easy. Overall, this was a really fun race. I loved the course! The race was well organized. It was for a great cause. The medals, completely unexpected, were incredible! The finish line food was great. While I realize that this was for an Eagle Scout project, my hope is that they continue to put on this event on an annual basis. You could tell that Shane Skelcy and his volunteers put a lot of hard work into making sure this was a fun and successful event. I'm glad I got to be a part of it. Disclosure: This entry was free if you brought cans to participate. All opinions are my own.